Design Pedagogy explains why it is vital for design students that their education helps them construct a ’passport’ to enter the professional sphere. 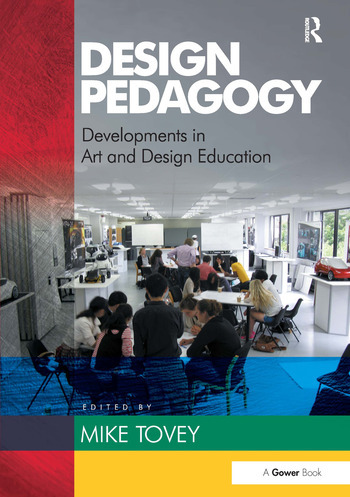 Recent research into design teaching has focused on its signature pedagogies, those elements which are particularly characteristic of the disciplines. Typically based on core design theory, enlivened by approaches imported to the area, such work has utility when it recognizes the visual language of designing, the media of representation used, and the practical realities of tackling design questions. Increasingly the 21st century sees these activities in a global context where the international language of the visual artefact is recognized. This book draws on recent work in these areas. It includes a number of chapters which are developed from work undertaken during the period of special funding for centres of teaching excellence in the UK up until 2010. Two of those in design have provided the basis for research and innovative developments reported on here. They have helped to enliven the environment for design pedagogy research in other establishments which are also included. Design students need support for the agile navigation through the design process. Learning experiences should develop students’ natural motivations and professionalise motivation to create a resilient, informed and sustainable capacity. This is the essence of ’transformative learning’. This collection explores how design education is, in itself, a passport to practice and showcases how some of the key developments in education use techniques related to collaboration, case studies and experience to motivate students, enable them to express their identity, reflect and learn. Mike Tovey is Reader in Design Pedagogy and Professor of Industrial Design at Coventry University. He has been responsible for the establishment and development of the, now internationally acclaimed, programme in transport design. He was Dean of the Coventry School of Art and Design for 18 years. Mike has pioneered design research. Much of his research work has been concerned with the design process and how designers work. There has been a particular focus on the use of computer support for the creative aspects of design. He also pioneered the portfolio PhD and this work is a useful summary of much of his research activity. From 2007 to 2010 he was Director for Design and responsible for leading on and co-ordinating design education and design research. In addition he was Director of the Centre of Excellence in Product and Automotive Design (CEPAD). He now leads the Design Research Society's Special Interest Group in Design Pedagogy.